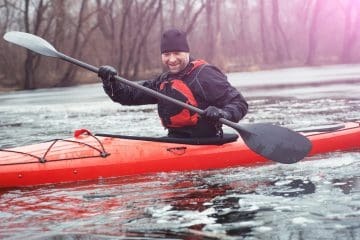 Before any kayaking trip in a temperate or cold region, it’s important to do your research to find the best drysuit for kayaking. 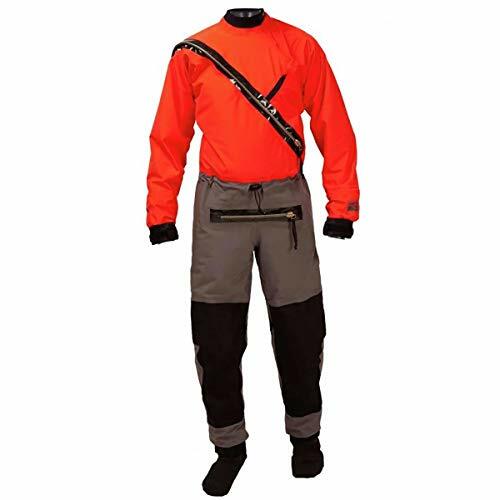 A drysuit is a full-body piece of clothing designed to keep warmth in, while simultaneously allowing internal moisture to escape and sealing external water out. 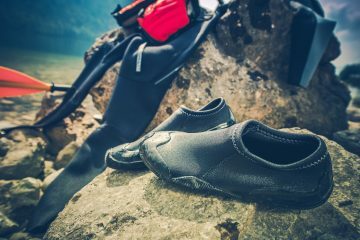 While drysuits are unnecessary in tropical weather, freezing weather and strong waves can make for a dangerous combination if you’re far from land. Here at The Adventure Junkies, we can guide you through a wide selection of the best drysuits available to make your purchase simpler and your kayaking experience safe, warm and dry. 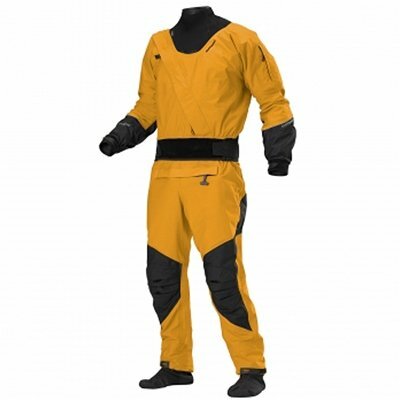 Drysuits are almost always made of either nylon or Gore-Tex. Sometimes, the nylon is coated or laminated with a hydrophilic substance to repel water. Gore-Tex is highly durable, and while more expensive than other fabrics, is definitely worth the money. 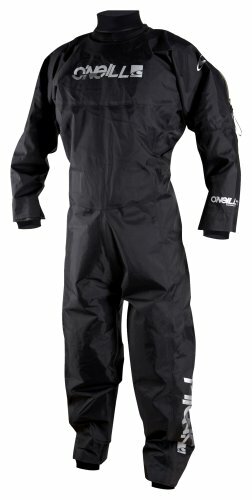 Many suits will offer Cordura-reinforced knees and seat, soft latex and neoprene gaskets around the neck, ankles and wrist to prevent chafing, or even a proprietary fabric on the interior of the suit for added comfort. Consider the climate and intended use when shopping for a drysuit. 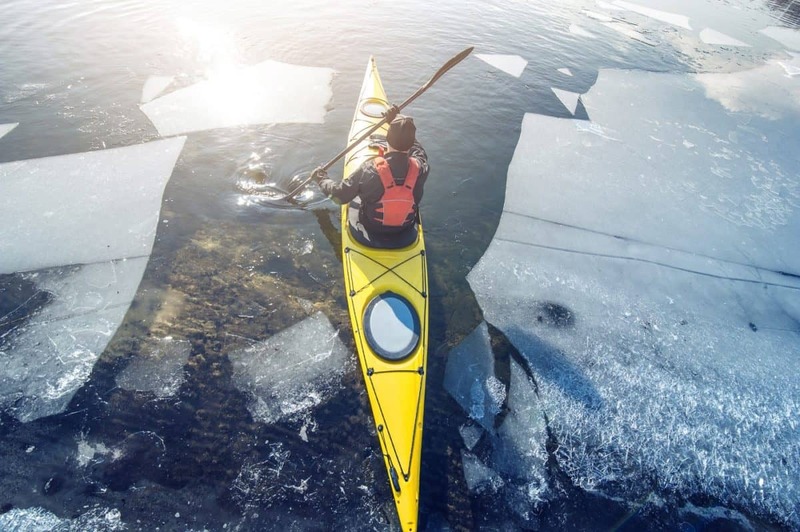 Like all pieces of clothing, drysuits are made to fit snugly, loosely or somewhere in between. 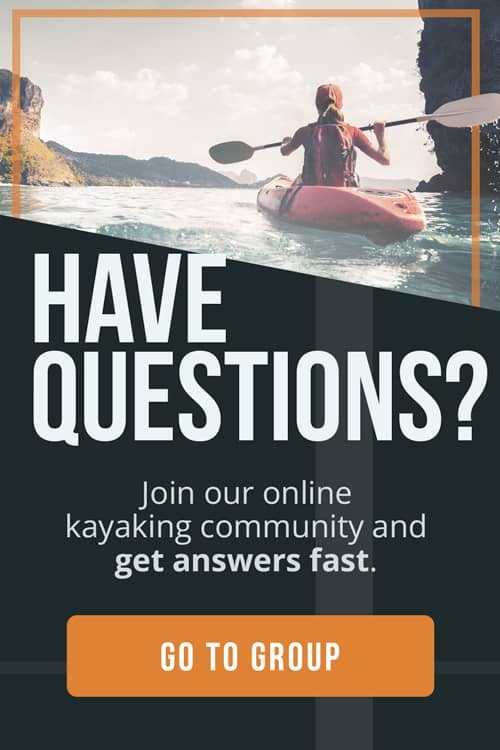 If you enjoy whitewater kayaking in late fall or early spring when the daytime temperatures are still low, you might consider buying a drysuit that offers a loose fit and ample room for warm, long sleeve layers underneath. If you don’t anticipate needing extra layers, perhaps opt for a suit that fits more snugly to eliminate excessive bulk. We covered materials above. 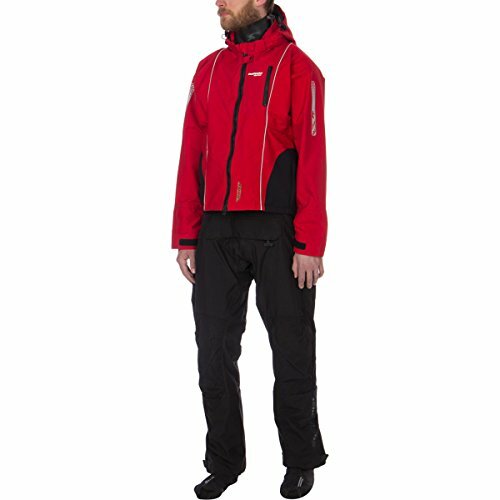 While staying dry and warm are the main reasons for wearing a drysuit, thicker, water-repellent fabrics are less breathable than thinner, uncoated fabrics. However, Gore-Tex, in addition to being durable, is one of the most breathable fabrics available. Sweating underneath your clothes in a cold environment can be dangerous as it leaves you wet and prone to hypothermia. Breathable fabrics were developed to overcome this problem, which can present challenges in nearly all sports, from mountaineering and long-distance running to snow-skiing and kayaking. Up until recent years, there have been two types of drysuit entries, back entry and front entry. The first uses a zipper down the back of the suit, the second, down the front of the suit. While they each have their benefits, front entry suits will typically offer a relief zipper which makes pit stops a breeze. The third entry type, SwitchZip, was developed by Kokatat. 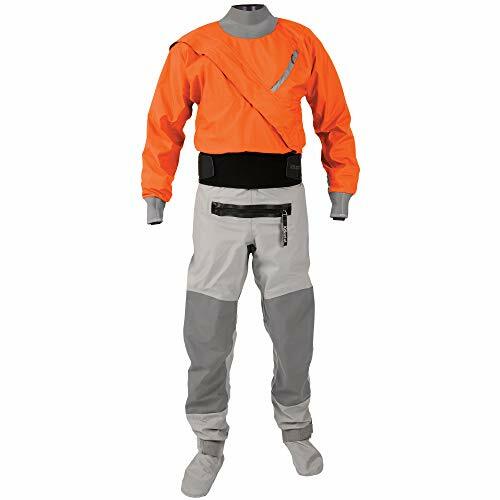 Their drysuits can be completely separated in the middle and function as either top only, bottom only or full drysuit when fused. Make a list of wants and needs before you shop. 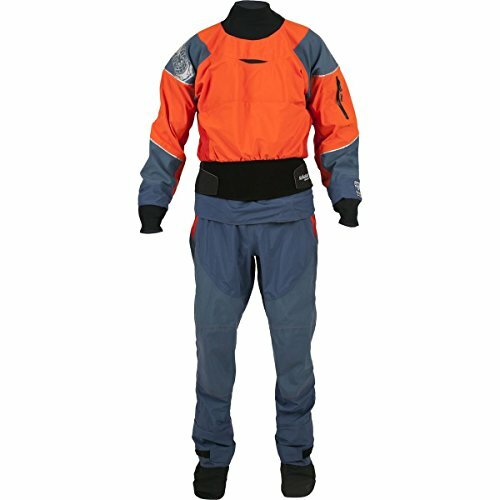 If comfort is very important to you, choose a drysuit with mesh draining areas, and adjustable wrist, ankles and waist cinches. 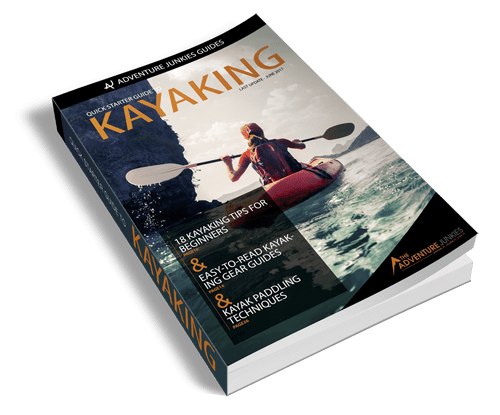 If functionality is more essential, perhaps for an activity like fishing in the early morning hours, gear pockets, loops, reflective trim may rank higher on your list of desired features. 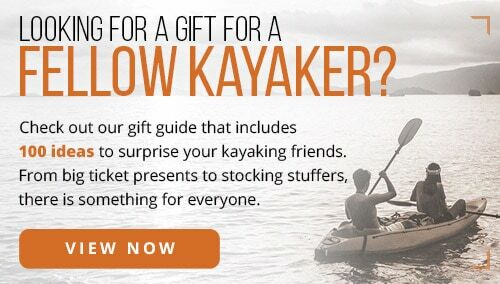 While some drysuits come with built-in socks, you will need to find kayaking shoes and kayaking gloves, as they will not be included in your purchase. Warranty may be more important to some users than others, depending on their choice of activity. 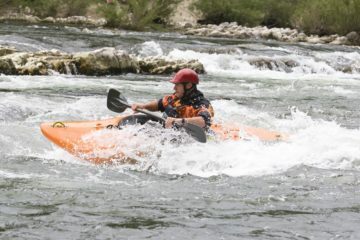 Fisherman and whitewater kayakers will damage or wear out their suits faster than the casual kayaker. 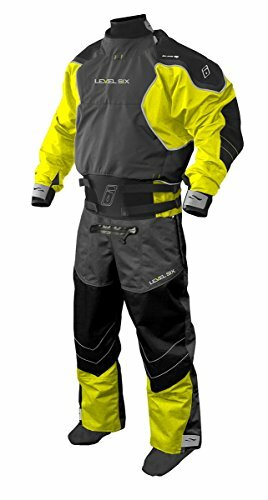 A drysuit will most likely be the second most expensive purchase you’ll see apart from your kayak. So, a lifetime warranty will come in handy if it should ever need to be replaced.